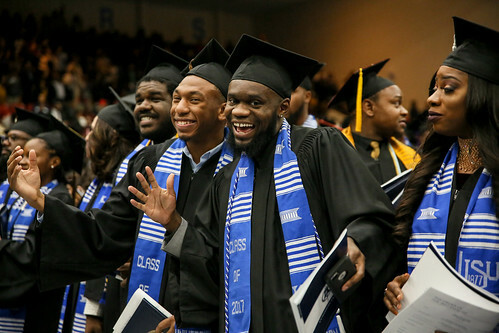 Mississippi Democratic Congressman Bennie G. Thompson recently announced that the National Science Foundation (NSF) has awarded $4 million to Jackson State University and an alliance of Mississippi institutions of higher learning to help train minorities for careers in STEM. JSU is the lead institution of the Louis Stokes Mississippi Alliance for Minority Participation (LSMAMP) Pathways Alliance. Other collaborators are Alcorn State University, Delta State University, Hinds Community College, Mississippi State University, Mississippi Valley State University, Tougaloo College, University of Mississippi and University of Southern Mississippi. LSMAMP is helping to address a statewide and national demand for STEM workers. JSU President William B. Bynum Jr. praises the efforts of institutions and leaders to fulfill an important need. Dr. Martha Tchounwou of JSU is the statewide program manager of LSMAMP.